Indeed, stock buyback announcements by U.S. public companies have already reached $827.4 billion in 2018, topping the previous record of $809.6 billion in 2007 with more than three months left in the year. 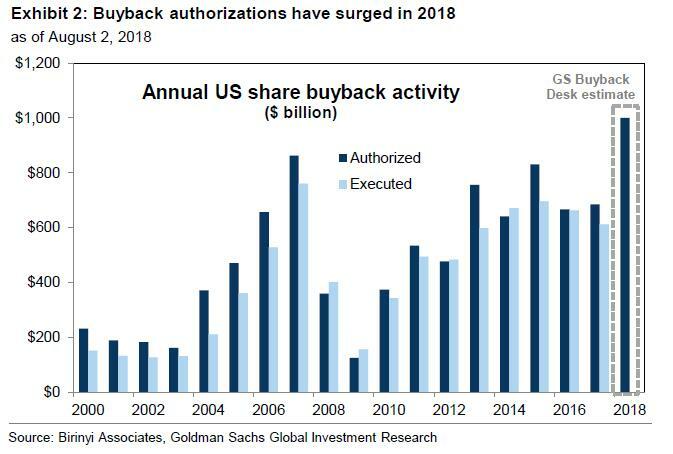 According to Goldman, the final authorized buyback number will be no less than $1 trillion. Meanwhile, as buybacks have boomed, U.S. Treasury tax data - contrary to reports from the Bureau of Labor Statistics - indicates that wage and salary growth has been depressed. Real growth in income tax withholdings hovered around 1% year-over-year in the past five months, far below the levels that prevailed last year. 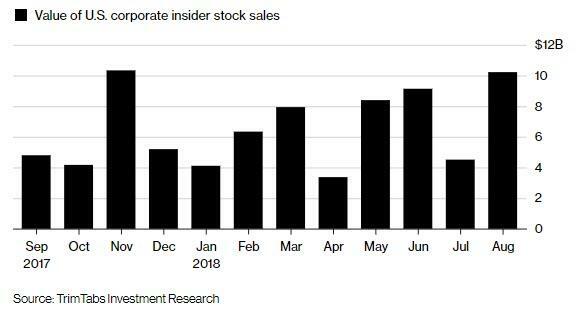 Which may explain why corporate margins are set to hit new all time highs, and why insider selling is set to continue even as shareholders gladly buy all the shares that management has to sell.